Trimming Your Organic Budget ~ Keep Those Seedlings Alive! 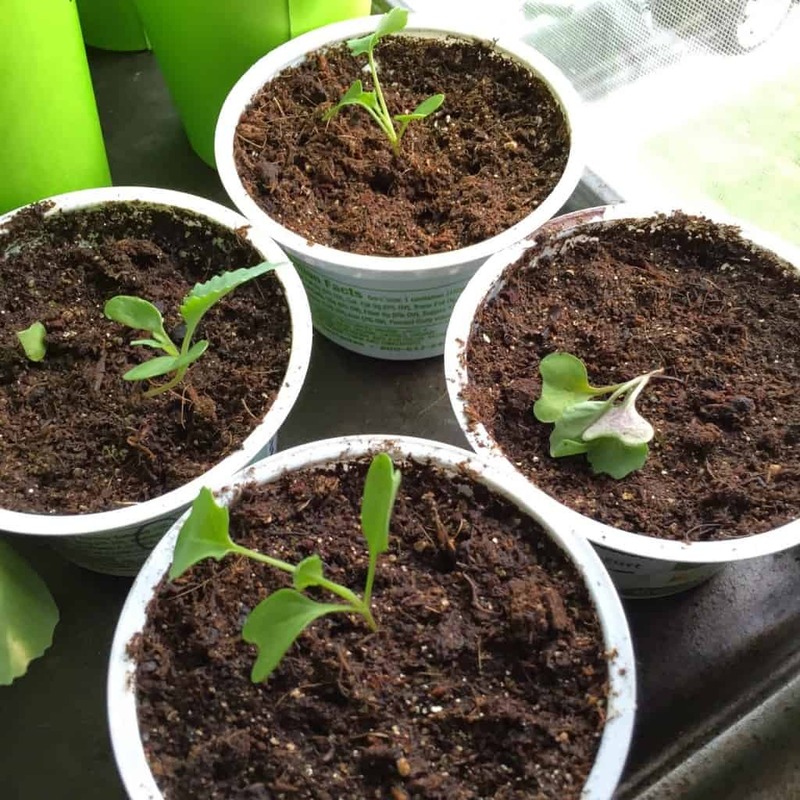 Whether you have been following along or just getting started, we started some veggies from seed. 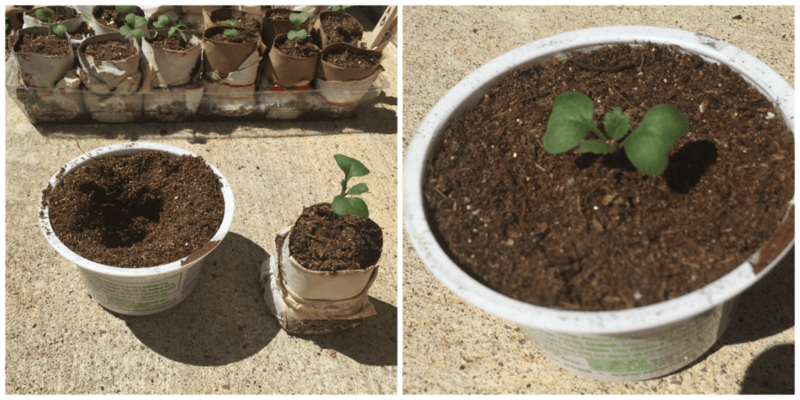 Keeping seedlings alive has been a learning process. We are sharing all that we have learned! Like we said before we are learning as we go. 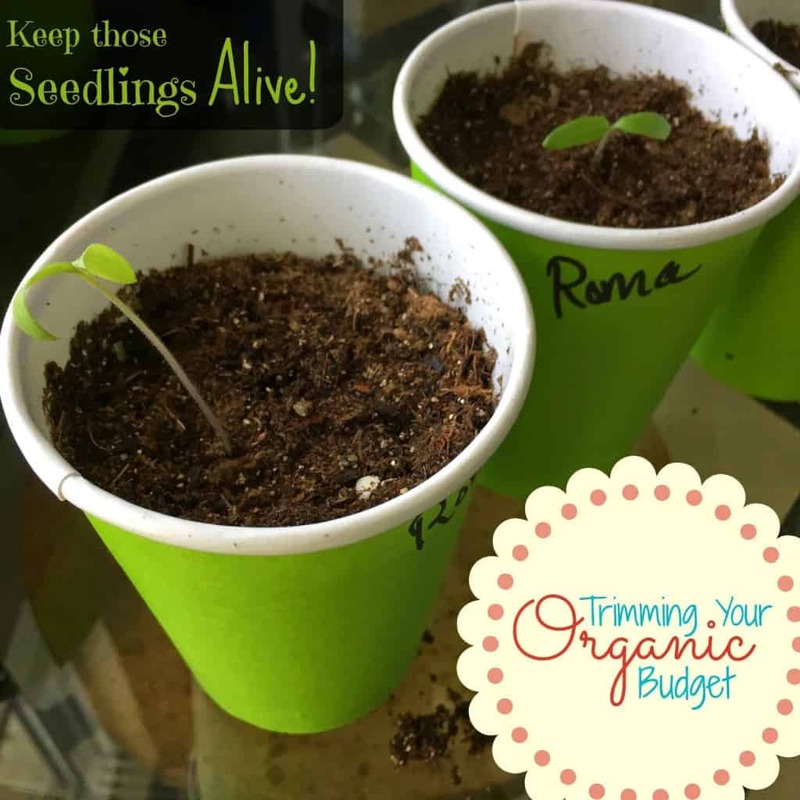 Between Mama K’s tips and our own trial and error we are sharing how we have been keeping our seedlings alive. Behind the couch, in windows, in J’s room, you name it they might be there. Luckily at this stage they are pretty small. Don’t let them get too tall. They will fall over and die off quick. I started these Roma Tomatoes in tall cups since they wont be planted in the garden until May. To keep them happy I just carefully loosened the soil using a fork, lifted out the seedling, stuck my finger in to make a deep whole, and placed the seedling back in. These plants will get quite a bit bigger by the time they are going to go into the garden. Give their roots a place to grow. 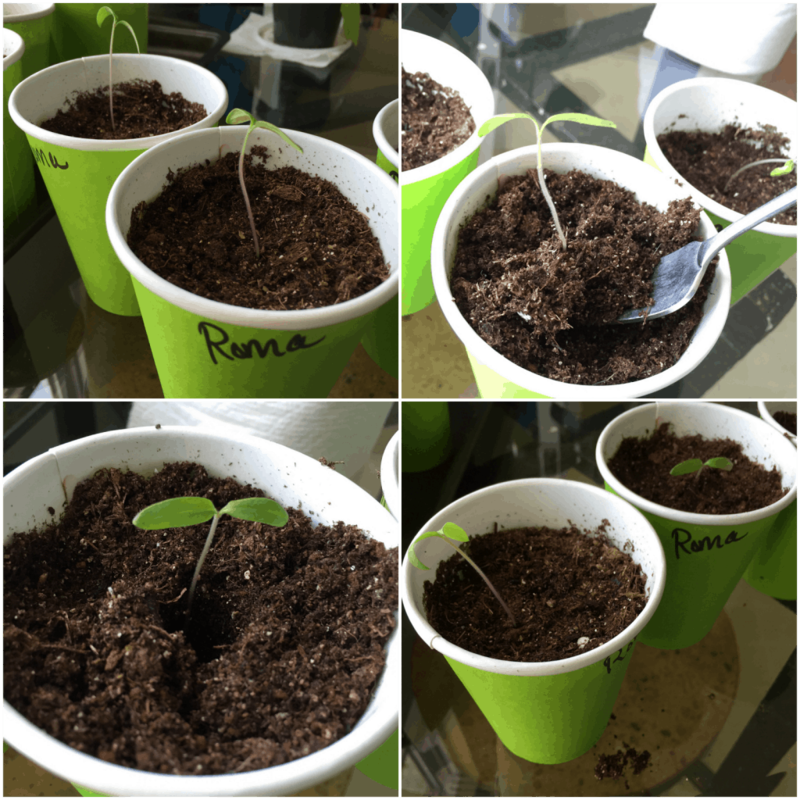 I started quite a few of each seed that I wanted… I knew they wouldn’t all make it, in fact I wasn’t too certain any of them would. 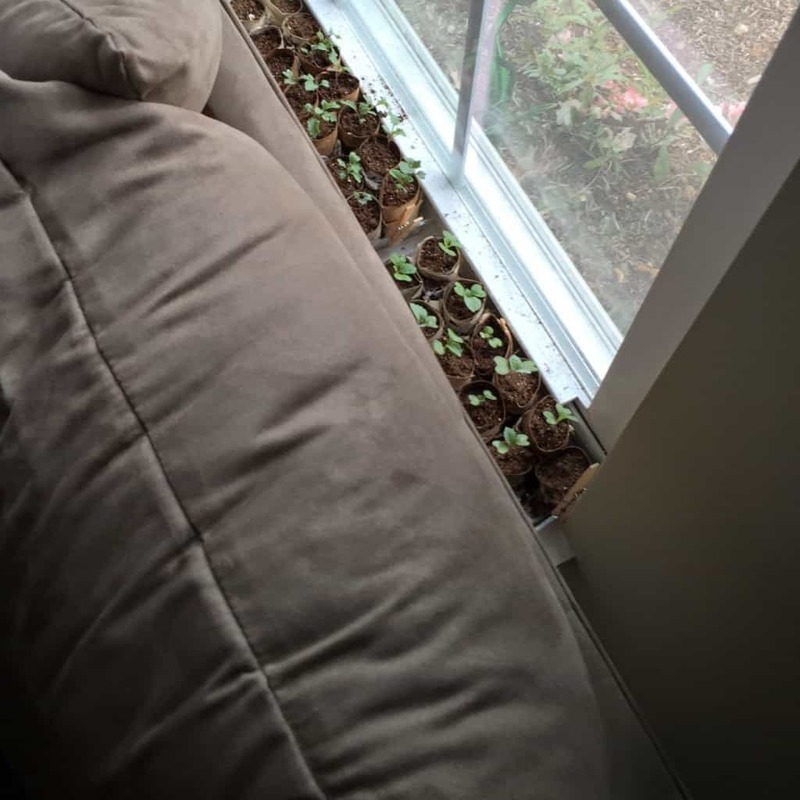 Some of my cabbage and broccoli were outgrowing their little pods behind the couch, so it was time for them to get a little more space. Make sure you make plenty of holes in the bottom for water drainage. Be patient! Once the true leaves (the second set) grow in they are well on their way to becoming your next dinner… Getting them past the first few weeks might be the hardest part. I have to admit mine didn’t all make it. Seeds are super cheap, even for organic so if a few don’t make it you’re only loosing out on some change. These guys will be going into the garden soon enough. It has finally been plowed!! Next we will be going over composting for your garden. 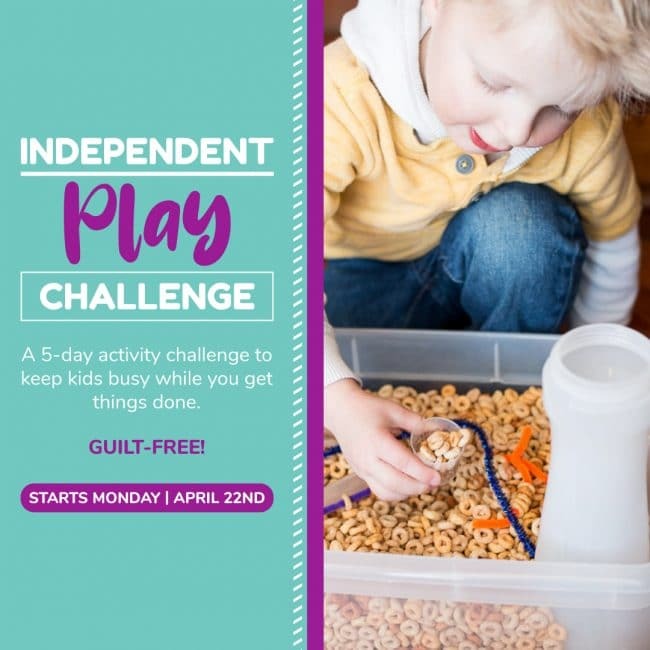 We touched on this in our Use it Don’t Lose it post a few weeks ago. So start saving your scraps! 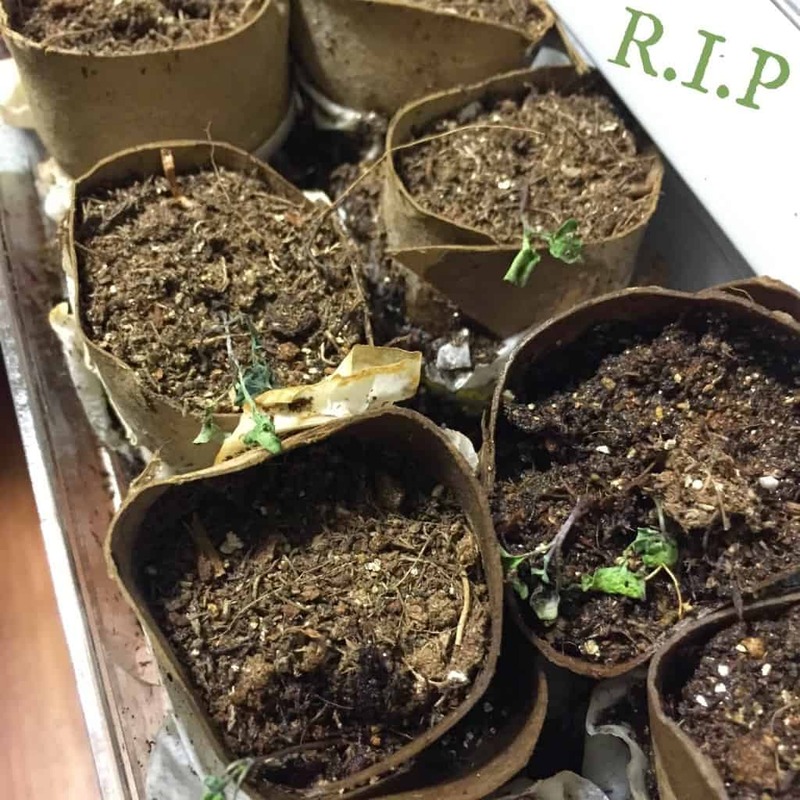 Don’t get discouraged if you lose a few plants to damping off (when the plant dies where the stem meets the soil), it happens to even seasoned gardeners.